Jennifer Watson is the host of this water cure video and share this amazing video on water curse. There are stories of those who have improved their lives because of water. 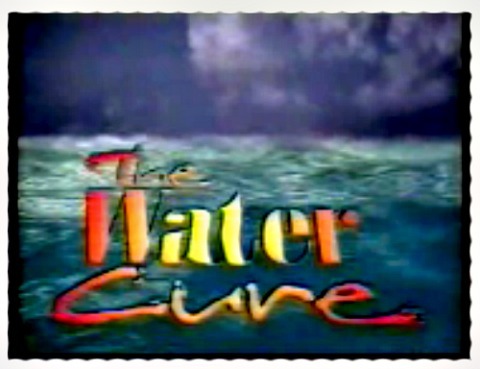 This video was produced about a year after Bob Butts discovered the water cures. Bob had already spent thousands of dollars on promoting water cures. The people on the video are real people. These are real stories. These are our neighbors who have experienced how water can help heal us. The video features Bob Butts who has spent thousands of dollars as a philanthropic effort to promote The Water Cures. Also is video on Dr. Batmangehlidgh, the doctor who rediscovered it. One of the questions the video asks, "How much water do you drink?" Most people drink none to very little water on a daily basis. From chest pain to foot pain and everything between, you will hear stories of those who have ended their suffering and improved their health with water. And those sending in their stories are not just ordinary people. Some reporting are doctors. Yes, doctors in the video are telling in this video that they used water and salt to improve their health. One made the point that salt is not the enemy. Rather, we need more water, not less salt. The doctor went on to ask what the first thing people get in an emergency situation. The answer, normal saline, which is salt and water. The video tells of Dr. B's life story and his experience in prison when he was sentenced to death. He tells of how he first discovered the water cures. You will enjoy this video. It will probably change your life, as it has many before. Note: One thing that needs to be explained....if you drink coffee or alcohol, for every cup of coffee, drink an additional glass of water. For every mixed drink, drink two additional 8 oz glasses of water. For every beer, drink an equal additional amount of water. The latest research has found that coffee and tea are only slightly more dehydrating than water alone (with out the salt). The reason for the extra glass is to dilute the chemical action of the coffee. Coffee has a lot of good things going for it. Contrary to what Dr. B taught, we now know it is not bad. However, the rule to drink an extra glass of water is sound. This is because coffee, although providing benefits, prevents certain nutrient uptake. Thus, dilution helps your body work better. Alcohol is very dehydrating. You need to drink water to replace what it removes from your body. Think about Dry Gas you put in your car. The alcohol takes the water out of your gas and binds with the alcohol. A similar process happens inside our body. We need to replace the lost water. We hope you enjoy the story of the water cures. Share Your Water Cures Experience and see what others have said.